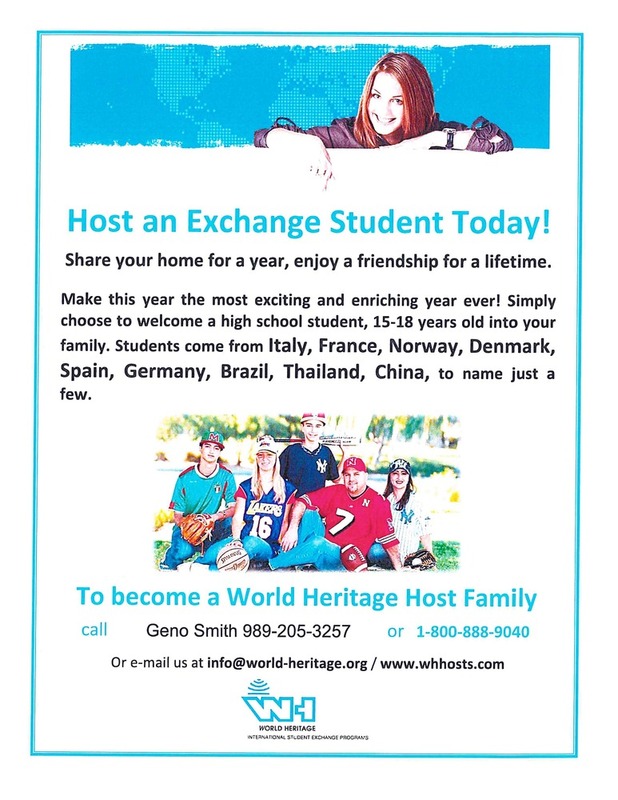 Looking to host a foreign exchange student this year or next? Please see the attached flyer for more information. There is a need for host families as soon as possible.